Shawnee State’s Michal Cunningham begins her swing against Cumberland (Tenn.) on Friday. Shawnee State’s Kayla Koch stands in the batter’s box on Friday. Having two capable arms in any pen is absolutely vital for any team as far as success in the sport of softball is concerned. In fact, the vast majority of softball coaches will tell you that winning is absolutely not possible without it. On Friday afternoon, the strong pitching performances of McKenzie Whittaker and Tatum Wise allowed Shawnee State to split a doubleheader with a strong Cumberland (Tenn.) softball program for the second time in as many days, with the Bears rebounding from a five-error performance in a 7-1 day-opening loss to the Phoenix en route to claiming a 1-0 victory over Cumberland in eight innings to put both units at 2-2 overall in Mid-South Conference play following the four-game set. However, the performances that his team put together on Thursday and Friday is, according to Steve Whittaker, only the tip of the iceberg. In the opening bout of the day, both teams played to a pretty even keel over the contest’s first four innings as Whittaker and Cumberlands’ Kayley Caplinger came out firing over the initial quartet of frames. In fact, the only run that came across to score between the pair was a Brigid Antoinelli RBI base knock that scored Tyra Graham — who wouldn’t have been on base if it weren’t for an error that was committed earlier in the frame. Unfortunately, errors proved to be Shawnee State’s undoing during the affair. With the game still at a 1-0 tally in favor of Cumberland during the top of the fifth, three errors by the Bears in the inning alone proved to be critical as Graham and Imani Torregano scored as a result of the misplays to put the Phoenix up by a 3-0 tally. Even though Kaitlyn Gleich ultimately responded in the bottom of the fifth by plating Victoria Bevington for the game’s first run to cut the deficit to a 3-1 margin entering the game’s final pair of innings, the Bears were stymied the rest of the way at the plate as SSU only mustered a single run over the game’s final two frames, and a fifth and final error not only allowed Cumberland to continue its frame in the top half of the seventh, but add three more runs onto their cushion as Antoinelli — who brought in Torrigano via a base knock earlier in the frame — scored on an infield error, and Kayala Hoppenjans plated each of the game’s final pair of runs on a two-RBI base knock to put the first contest out of reach with a four-run seventh inning. With Cumberland now at 2-1 in the series Mid-South play with the win, however, SSU knew that it had to step up in the final affair of the series, especially with every MSC game proving to be of importance in a deep league that makes teams pay for losing conference series. In the final affair, Shawnee State got the performance that it was looking for. Not only did Wise deliver with another strong outing on the rubber — the freshman entered the four-game series with a 6-2 record and 1.04 ERA in the circle — the defense followed it up with a clean game as Shawnee State didn’t commit a single error in the field. Wise gave up six hits, but didn’t allow anything more than a single, cleverly pitched out of a bases-loaded jam in the fifth inning, and enabled the defense to turn an unassisted double play in the seventh inning as the Canal Winchester, Ohio native dueled with Kaitlin Kralj for the full seven innings as both units went into extra innings with the game still sitting at a scoreless tie. When Morgan Arndt relieved Kralj in the eighth inning, however, Shawnee State flipped the script in a hurry. After Wise retired Caplinger, Antollini, and Tawnee Hegre in order in the top of the eighth, the Bears responded by coming through for their standout youngster. 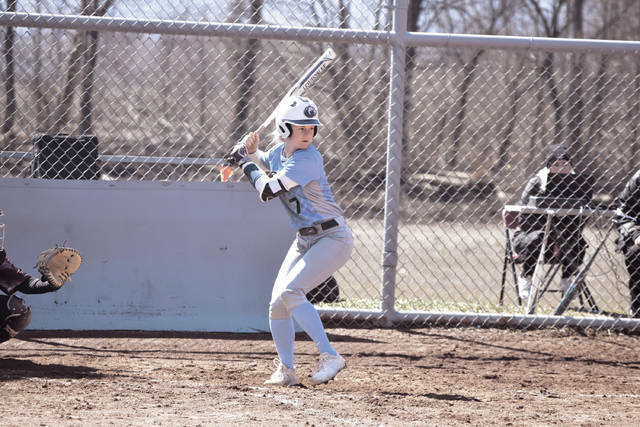 A leadoff base knock back up the middle by Gleich, along with an error by Paola Del Valle, allowed Kayla Koch to load the bases with a single that loaded the bases as the ball found a hole in the shallow part of left field. 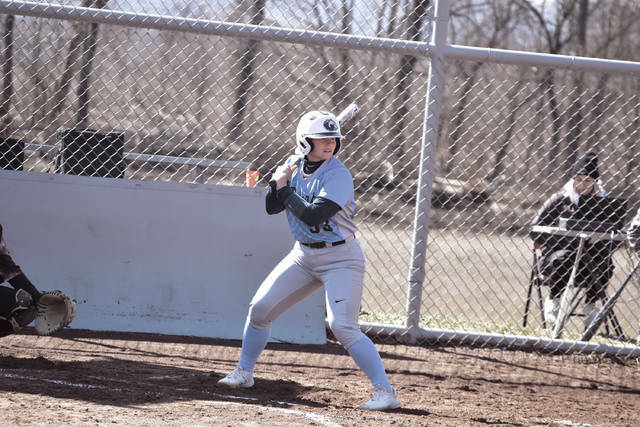 Then Wise, with the bases loaded, proceeded to give herself her seventh winning decision of the year by seeing four straight pitches land outside of the zone for the game’s winning run as Shawnee State officially split the four-game series with Cumberland. With the victories in Games 1 and 4, Shawnee State moved to 14-6 overall and 2-2 in Mid-South action, while Cumberland’s record was tilted to 22-5 overall and 2-2 in the conference. Whittaker’s group will look to continue the momentum next weekend when the Bears take on Georgetown (Ky.) in two additional MSC doubleheaders on Friday (3 p.m.) and Saturday (2 p.m.).